Robert Austin Crnic, age 30, of Bethel, CT died unexpectedly on Sunday, January 27, 2019 in Monroe, CT. 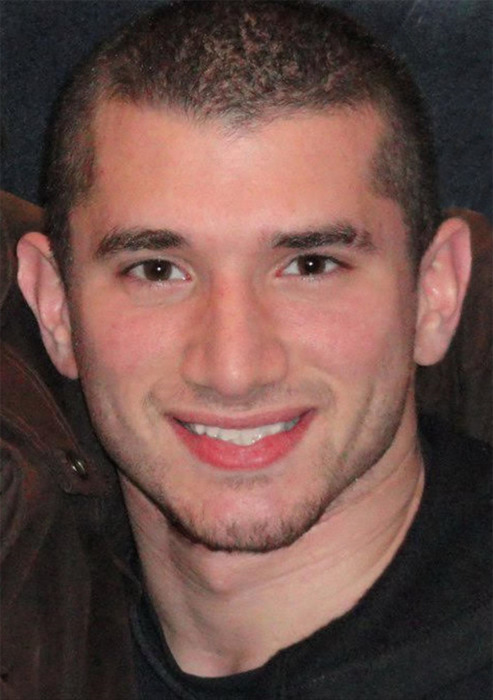 The beloved son of Robert Z. Crnic of Monroe and Saundra (Roujansky) Crnic of Bethel was born in Stamford, CT on July 16, 1988. From birth, Robert possessed boundless energy and a beautiful, radiant smile that brightened everyone’s day. Growing up, he was full of unending curiosity, and a daredevil sense of adventure that knew no limits when playing with his friends and younger sister Lexy. He loved furry animals especially rabbits, which he breeded with his sister by the dozens. Robert attended Bethel public schools from kindergarten and graduated from Bethel High School in 2006. He was a highly intelligent child and part of the Gifted student program in both Rockwell Elementary school and Bethel Middle School. In High School, Robert excelled in pole vaulting - qualifying for the State Track Finals in both his Junior and Senior High School years. After graduation, he attended UCONN at Storrs and received a Bachelor of Science degree in Neuro-Physiology. He worked as an analyst for Pfizer, Schick among other large companies and recently joined his father’s marketing research firm, Direct Media Marketing, as operations manager and eventual owner upon his father’s retirement. Robert had a sensitive nature that yearned to find his soul mate and start a family. His passion for living life to the fullest was undeniable. He will be missed beyond all measure by his loving parents, his dear sister Lexy and his immediate family, friends and relatives. His inexplicable and sudden loss has left a massive emotional void among countless people blessed to have known him. We can only hope to eventually understand why God chose to take this beautiful man from us so soon. Robert is survived by his parents, Robert Z. Crnic and Saundra L. Crnic (Roujansky), his sister Lexy Crnic, his dear paternal grandmother, Nada “Ama” Crnic, maternal grandmother Rita Roujansky, his Aunt Penny Volpe, and Uncle Edwin and Aunt Rocio Crnic as well as 4 cousins- Joshua, Izaiah, Ben and Sam who will all miss his smile and sincere love. A memorial service will take place at the Bethel Funeral Home, 215 Greenwood Ave., Bethel, Saturday, February 2, 2019 from 4:00 pm to 6:30 pm with words of remembrance at 6:30pm. In lieu of flowers, a donation in Robert’s memory to the charity of your choice is encouraged.